Carbon/graphite ball valve seats are utilized by many manufacturers in the most severe chemical environments, due to their high degree of chemical compatibility. Metcar’s carbon/graphite ball valve seats are designed to handle hot liquids or gases ranging from approximately 350°F to over 800°F in oxidizing environments. They are also used for fire-safe ball valves in the petroleum industry, and must operate freely after a simulated fire test where the valve is heated to 1400-1800°F for at least thirty minutes. The ball valve seats are produced by shrink-fitting a carbon/graphite ring into a metal retaining ring. 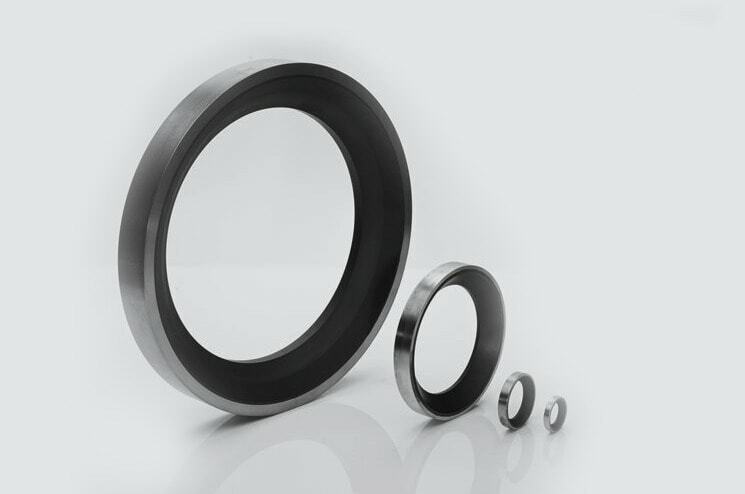 After shrink-fitting, the carbon/graphite is pre-stressed in compression and exhibits the same coefficient of thermal expansion as the metal retaining ring. The concave face of the carbon/graphite ring is then polished to make a pressure-tight fit with the ball, and the back face of the carbon/graphite is lapped flat to make a pressure-tight fit with the valve housing. Metcar’s technical staff can recommend the appropriate material for your application.